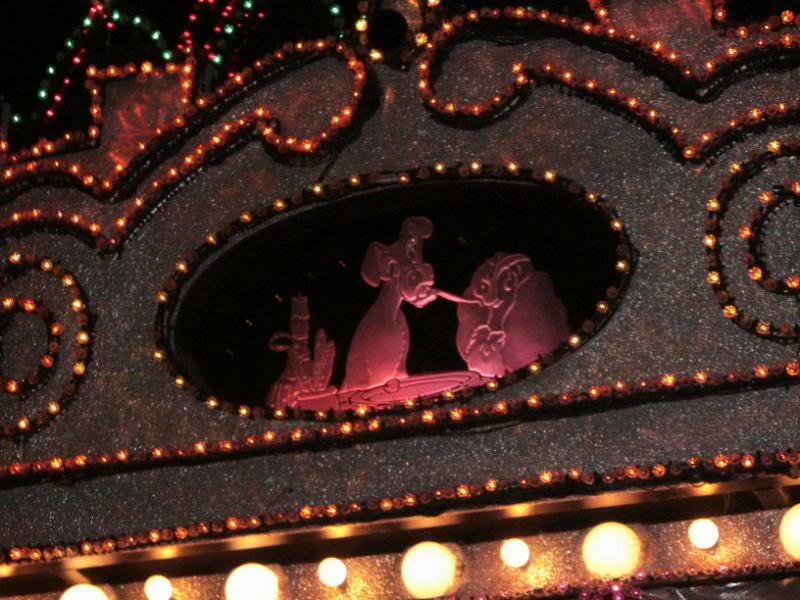 SpectroMagic debuted on October 1, 1991 and ran through May 22, 1999, making way for the temporary return of Main Street Electrical Parade for the Millennium Celebration, and then returned again March 26, 2001. I had hoped that SpectroMagic would eventually return again but from what I have heard and read, most of the floats were destroyed. SpectroMagic was officially retired at Magic Kingdom in 2010. 2. Riding up front on the Monorail: If you visited Walt Disney World prior to June 2009 you were able to request to ride up front with the driver. Up to four guests at a time were able to enjoy this experience. There are 3 monorail beams at Walt Disney World; Express from the Magic Kingdom to the Ticket and Transportation Center, Resort Monorail from/to the Magic Kingdom, and the Epcot Monorail to/from the Ticket and Transportation Center. 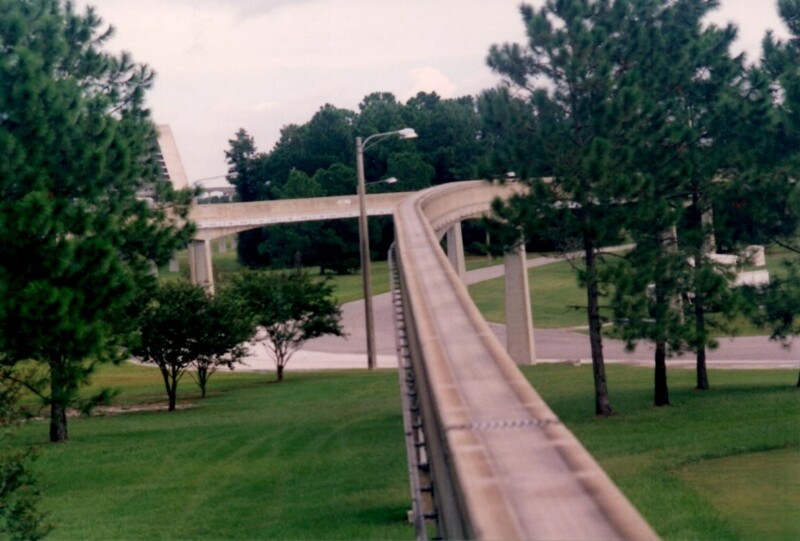 By far my favorite one to ride up front in was the Epcot, as it is the longest route of the three. Sometimes I would wait for two or three monorails to go by until it was my family’s turn to ride up front. The view was spectacular, as you could see straight ahead as well as side to side. It was always a thrill to ride up there.The monorail pilot would usually hand you a pre-printed “Co-Pilot License” as you exited. In July 2009, there was a terrible accident involving a monorail in which a young cast member tragically lost his life. 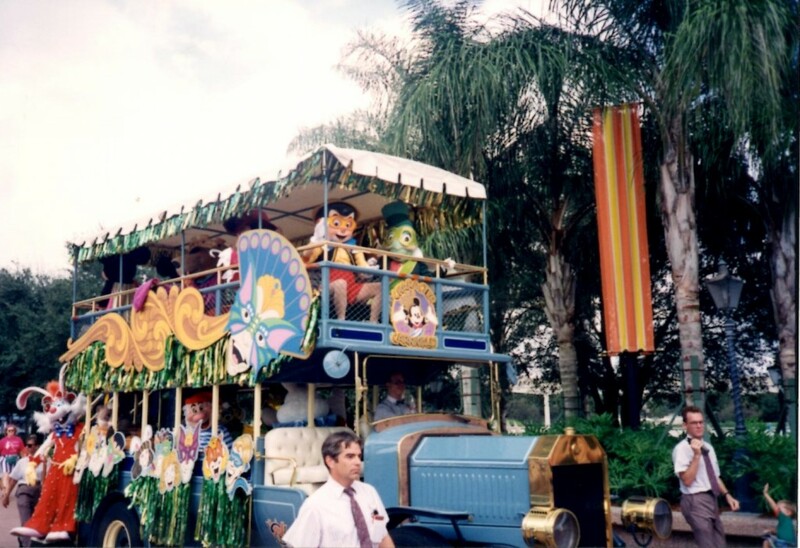 This led to the retirement of the purple monorail, as well as the end to guests riding in the front car with the driver. 3. 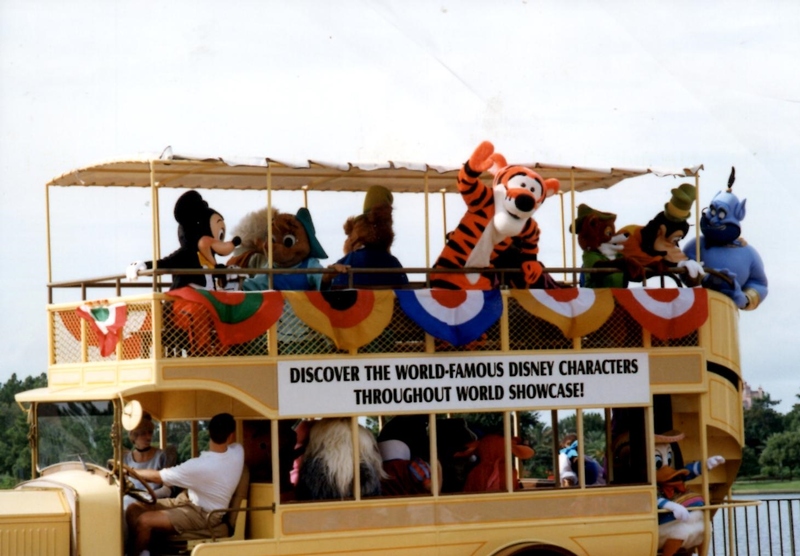 Disney Characters on Holiday at Epcot: From 2004 – 2005 there was a double decker bus that rode around Epcot’s World Showcase. The bus had a variety of characters, who would wave to guests as the bus made its way around the lagoon. The bus would stop at various points and all of the characters would disembark and interact with guests. There were many characters, at least ten, so you were able to meet a lot of different Disney favorites all at the same time. This seems to have been replaced with smaller meet and greets for the most part. 4. 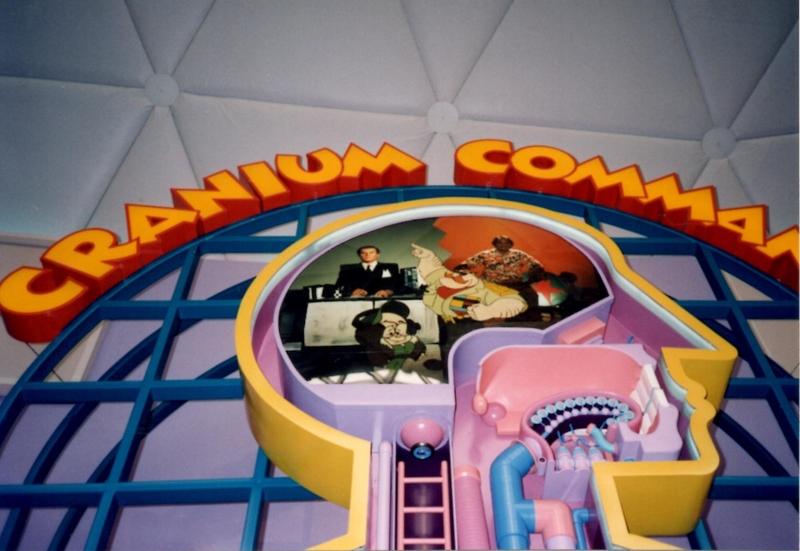 Cranium Command: In the Wonders of Life pavilion, the location that currently houses the Flower and Garden Festival Center, there were once three really enjoyable attractions. Body Wars was a trip through the human body using a process similar to the one used in Star Tours. The Making of Me was a brief movie starring Martin Short. He told us all about human reproduction in an entertaining and family friendly way. The third attraction was my very favorite and I miss it dearly, Cranium Command. The audience starts out watching an animated movie starring General Knowledge and his hapless cadet, Buzzy. Buzzy needs to learn how to pilot a human brain, and ends up being assigned to a 12 year old boy. After the cartoon we enter a theatre and sit down. Buzzy is now represented by an Audio-Animatronic figure sitting in a pilot’s seat in front of the theatre. A movie begins to play, showing the boy whose brain Buzzy is piloting. We watch Buzzy’s attempts to keep all of the various parts of the body working properly during a day in the life of the adolescent. The organs of the body and parts of the brain are represented in the movie by famous actors including Jon Lovitz, Charles Grodin, Dana Carvey, Kevin Nealon, George Wendt and Bob Goldthwait. They all did a great job and made the movie extremely funny. 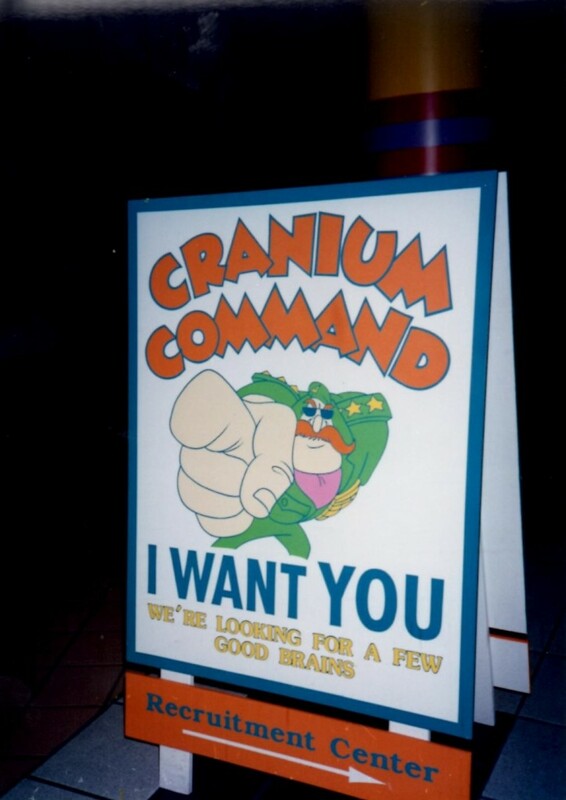 Closed in January 2007, Cranium Command was really a gem. 5. Mickey’s House in Mickey’s Toontown Fair: When Disney decided to build the Fantasyland expansion they also decided it was time for Toontown to be demolished. The area had changed over the years. It opened in 1988 as Mickey’s Birthdayland, then became Mickey’s Starland in 1990. The area had a very brief stint as Mickey’s Toyland before it was refurbished in 1996 and the name was changed to Mickey’s Toontown Fair. 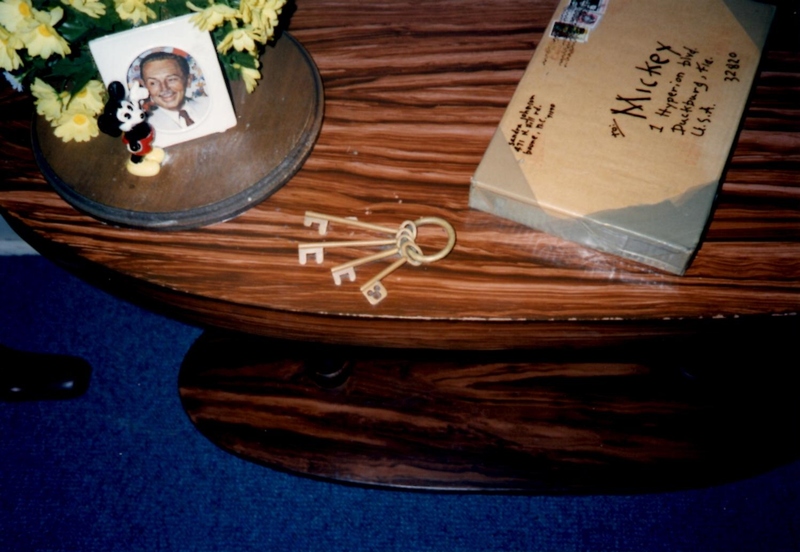 All through those years one of the constants was Mickey’s House. On the outside the house looked very “toon-ish”, with weird angles and bright colors. Inside was a very cute walk through in which you could see where and how Mickey lived. 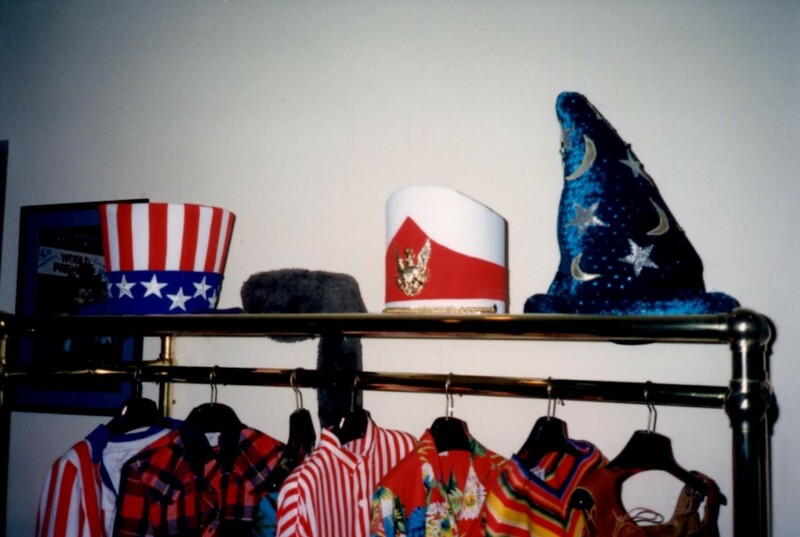 There were plenty of visual puns and hidden Mickeys to be found, and after you finished your tour you were able to enter a tent to meet The Mouse himself in his dressing room. It was a charming experience. (These days if you want to meet Mickey in the Magic Kingdom, he is on Main Street in the Town Square Theater). 6. 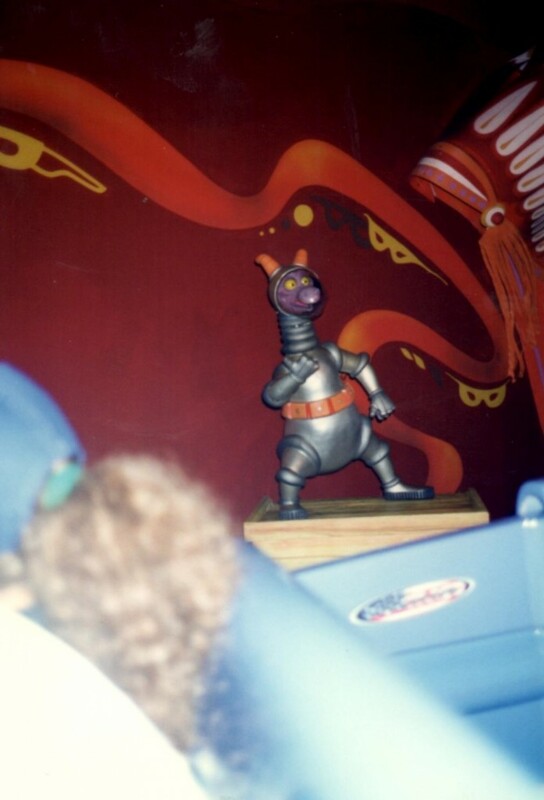 The original Journey into Imagination with Figment: This popular attraction was changed in 1999 to a version that was universally disliked and which closed two years later. The current version opened in 2002. It’s a lot better than the 1999 version, but not as fun as the original. Epcot opened in 1982 and Figment became a beloved character when the ride was unveiled in 1983. We enter a ride vehicle and proceed down a track. As the story begins, we are introduced to Dreamfinder, who rides up in this really cool looking vehicle that has odd looking machines attached to it. We are told to imagine things that will fill up Dreamfinder’s Idea Bag, which, when full, is emptied into a Dream Port. We then move through the Dream Port’s storage room and see an assortment of ideas that cover many subjects (ie art, music, science). It’s stressed that using one’s imagination is the key to open up many of life’s mysteries. 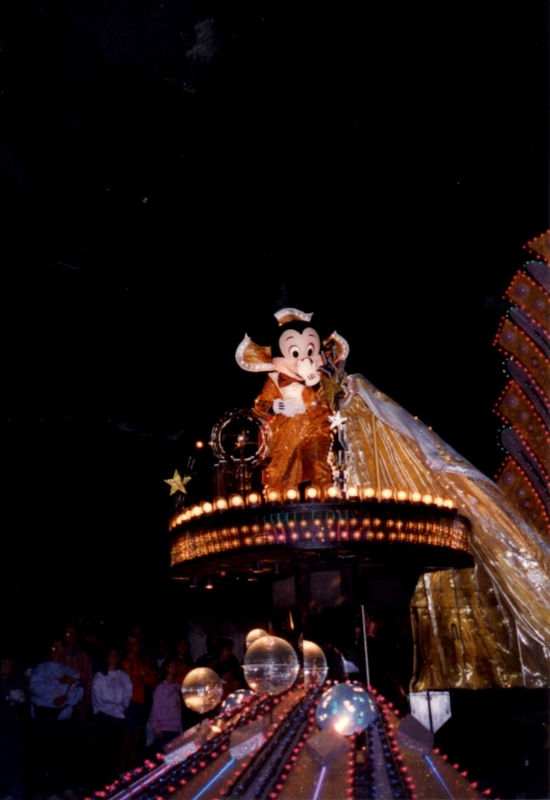 There were a number of cool songs played during your journey, including “One Little Spark” – a chorus of which are still heard in the current incarnation of the attraction. 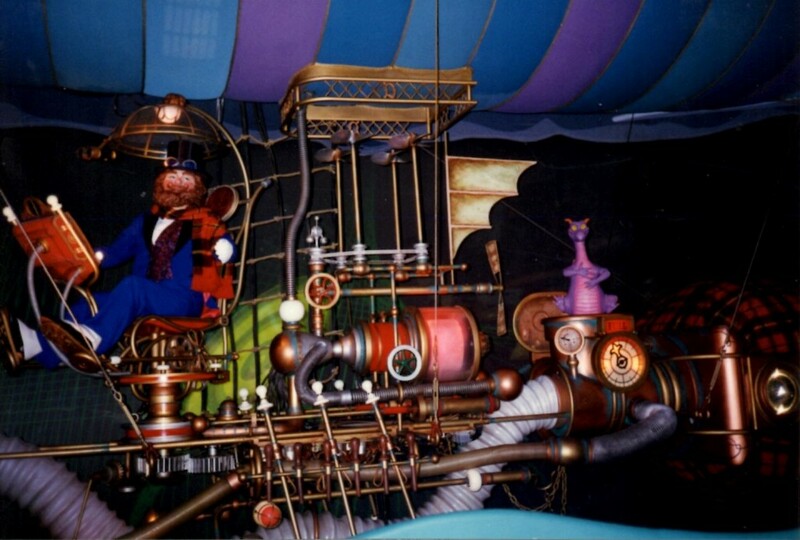 Dreamfinder was represented by a walkabout character who would make appearances with Figment outside of the attraction. The same cast member played this role for many years. 7. Food Rocks: My kids and I loved this relatively low-tech attraction. 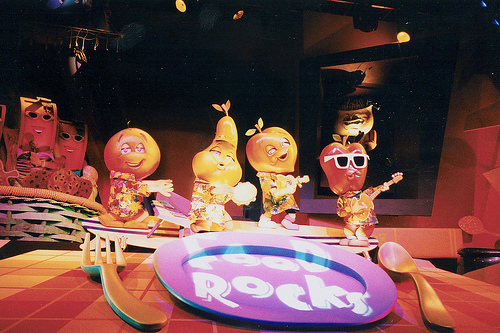 Located in the area that now is now occupied by Soarin’, Food Rocks was an educational, fun show. The theme was nutrition, and various characters would sing famous songs that had the words altered to match the theme. For example the “Peach Boys” sang “Good Nutrition” to the tune of “Good Vibrations” by the Beach Boys. The “Refrigerator Police” sang “Every Bite You Take” to the tune of “Every Step You Take” by The Police. Many of the songs were done by sound-alikes, but a number of them were performed by the original artists; for example Little Richard doing Tutti Frutti (with lyrics changed to send a nutritional message). This attraction had its last showing in 2004. If I had to choose between one or the other I would pick Soarin’, but I still miss Food Rocks. 8. 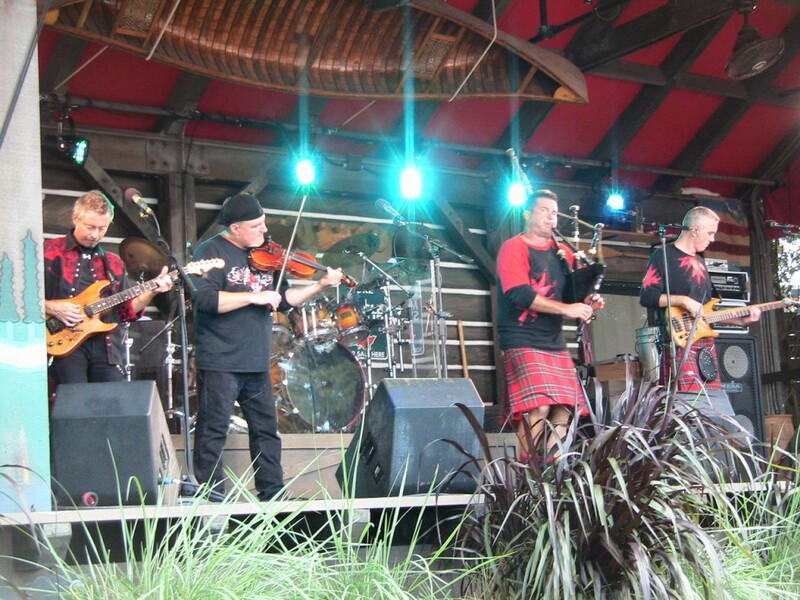 Off Kilter: In 1997 a new band was added to Canada in Epcot’s World Showcase that went by the name of Off Kilter. I read mention of them on a number of message boards and blogs, and the feedback was almost unanimously positive. I love good music, so I made a mental note to check them out during my family’s upcoming visit to Walt Disney World in 1998. We had reservations at the Rose and Crown, and since Canada is right next door we decided to attend an Off Kilter show before dinner. We were immediately hooked. The band consisted of a Bagpiper, Bass Player, Lead Guitarist, Drummer and a Keyboard player (later changed to a fiddler). All of them wore kilts. Their specialty was Celtic Rock, and many of their songs were old favorites, like Loch Lomond and Danny Boy, that they rocked up and put their own spin on. In addition to being extremely talented musicians the guys told corny jokes, waved and smiled at fans, led the guests in sing-a-longs, had kids young and old up and dancing, and everyone, including the band, seemed to have a wonderful time. Alas in September of 2014 Off Kilter was let go, along with Mo’ Rockin that played in Morocco, The Fife and Drum Corps in America and an improv group called World Showcase Players that performed in United Kingdom. Off Kilter was replaced by a lumberjack show called Canadian Lumberjacks. The band is still together and plays shows in the Orlando area as well as playing at Celtic Festivals throughout the country. I sure wish they were still at Epcot. 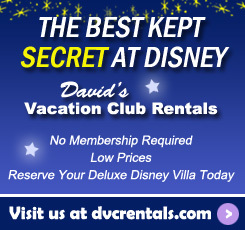 I imagine most of us can think of experiences at Walt Disney World that were traditional for us but no longer exist. It’s not easy to say goodbye to beloved attractions. The eight I included here are by no means the only ones I miss. 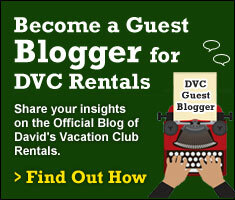 I have to remind myself what I mentioned at the start of this blog: Walt Disney World is not a museum. The truth is, if nothing changed it probably would get stale. I may miss the attractions of yesterday but I enjoy many new attractions and I look forward to see what the imagineers come up with in the future. 9 thoughts on "Gone But Not Forgotten – Walt Disney World Attractions of the Past"
Oh goodness, I miss Off Kilter so much too!!!! 20,000 Leagues Under The Sea and The Mickey Mouse Revue. I’d hoped to share the revue with my kids, but by the time I took them to WDW for the first time in 1988 TMMR had been moved to Tokyo.